Austin, Texas, Sept. 29, 2015 — Parents searching for the stroller that “does it all” can look no further. Austlen Baby Co. makes its debut in the juvenile product industry at the ABC Kids Expo, Oct. 18-21, 2015, in Las Vegas, with the introduction of the Entourage stroller, featuring the most versatility and storage capacity on the market. The Entourage stroller’s patented design has a simple one-handed expandable frame with three positions that enable multi-child configurations and the ability to carry large items, such as ice chests, shade canopies, pool inflatables and even luggage. 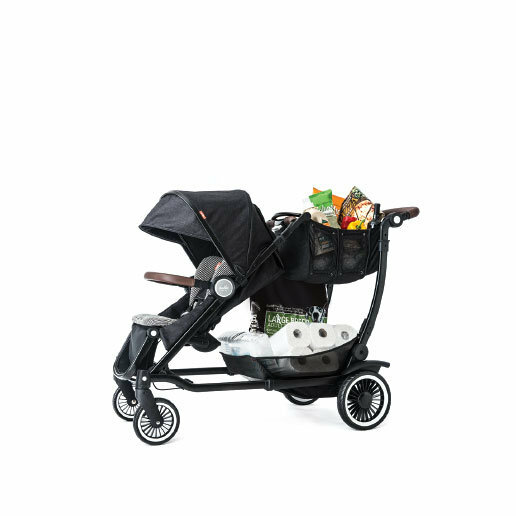 The Entourage has the strongest weight limit of any stroller and can accommodate up to 150 pounds combined weight of children and cargo. Yet, the stroller’s unprecedented capacity is seamlessly incorporated into a stylish design that does not compromise on compact fold, quality or child comfort. Austlen Baby Co. is already receiving accolades for the Entourage. The stroller was recently named as a 2015 JPMA Innovation Awards Finalist in the Juvenile Products Manufacturers Association’s annual competition for the most innovative products being shown at the ABC Kids Expo. Winners will be announced Oct. 18 in Las Vegas. 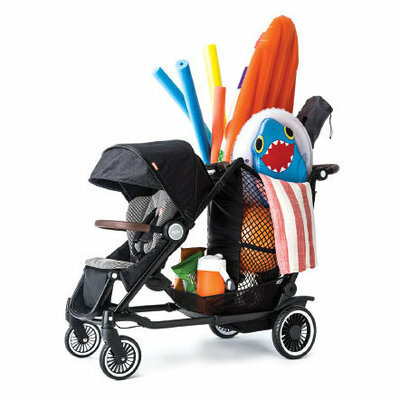 The Entourage stroller is the first to provide ample and easily accessible storage for both large and small items. 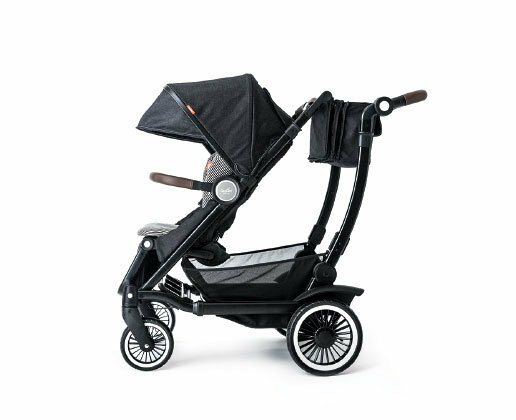 Parents can let the Entourage do all the work when it comes to outings because the stroller’s expandable frame gives them the freedom to select their stroller’s size and storage capacity, accommodating one or two children in addition to cargo. A large market tote that expands between the handlebar and front seat to carry a wide variety of items from baby essentials to groceries. The tote adjusts in size with the stroller’s position, has integrated cup holders, a tablet sleeve, pockets for cell phones and sunglasses, and an aerated pocket for pacifiers and such. The market tote can be easily removed and placed in the car or home without needing to empty it. 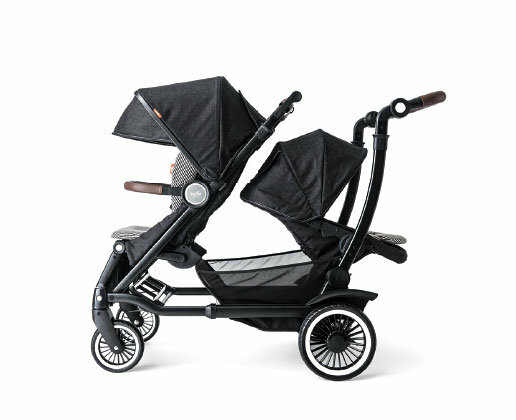 The Entourage stroller will retail for approximately $849.99 and is expected to be available in early 2016. 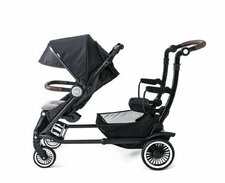 Austlen Baby Co. will showcase the Entourage in booth #7425 at the ABC Kids Expo. Austlen Baby Co. creates juvenile products that make being a parent a little easier. The Austlen team understands the daily lives and frustrations of new parents and works tirelessly to create intuitive, purpose-driven products that make family life easier and more fun — giving parents the freedom to live in the moment. Austlen Baby Co. was founded by CEO Leslie Stiba, a former global product manager with a background in driving product development and a parent of two young children. She saw a strong need in the market for a stroller that could assist with everyday tasks, such as carrying a load of groceries at the supermarket, allowing arms-reach access to baby items and transporting large gear. Stiba designed a stroller concept, secured a patent, and launched a company to make it a reality. She then recruited industry veteran Patrick Laffan to the business. Laffan, a parent of three, was the previous Director of Engineering for Newell Rubbermaid’s Baby & Parenting brands (Graco, Aprica and Teutonia). Together they are launching Austlen Baby Co.’s flagship product — the Entourage. Austlen Baby Co. is based in Austin, with a design and engineering office in Philadelphia.